We are your Energy Saving Specialists. Conservergy is a team of highly knowledgeable qualified personnel and more importantly, accredited master electricians. With more than 30 years of experience behind us within the electrical market, we are focused on assisting our clients in improving your bottom line through business energy saving solutions while staying in the forefront of leading edge technology. By providing sustainable energy saving solutions and explaining how the choices made today for your business can help towards the future of your business and the environment. We are a trust-worthy family owned business with thirty years’ experience in the electrical trade and customer satisfaction. Based in Morningside, we service all Brisbane, Sunshine Coast and Gold Coast Suburbs. Our team has a passion to save you money just ask us how! Most importantly, we offer exceptional customer service and only the highest quality products. Contact us today. Conservergy is small, trust-worthy family owned business which was established in early 2013. Founded by John Kirkpatrick, the Managing Director with more than 30 years of experience in electrical, John saw a huge potential in the energy saving lighting industry, therefore, set out on a mission to develop a company committed to growing an extensive client base in Brisbane and surrounding suburbs, delivering clients the very best energy saving products. 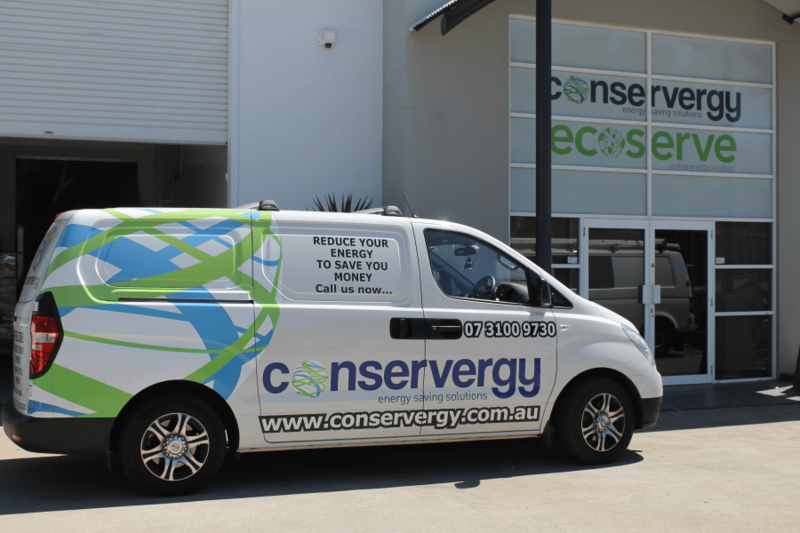 Supported by his children, the Conservergy team have a passion for working with small to medium businesses helping save them thousands of dollars by providing energy saving solutions with professional service from your very first business energy consultation to your energy saving lighting installation and beyond! The Conservergy team of master electricians, lighting specialists and happy, friendly faces are looking forward to working with you on your journey to saving you thousands of dollars on your Industrial and Commercial lighting.